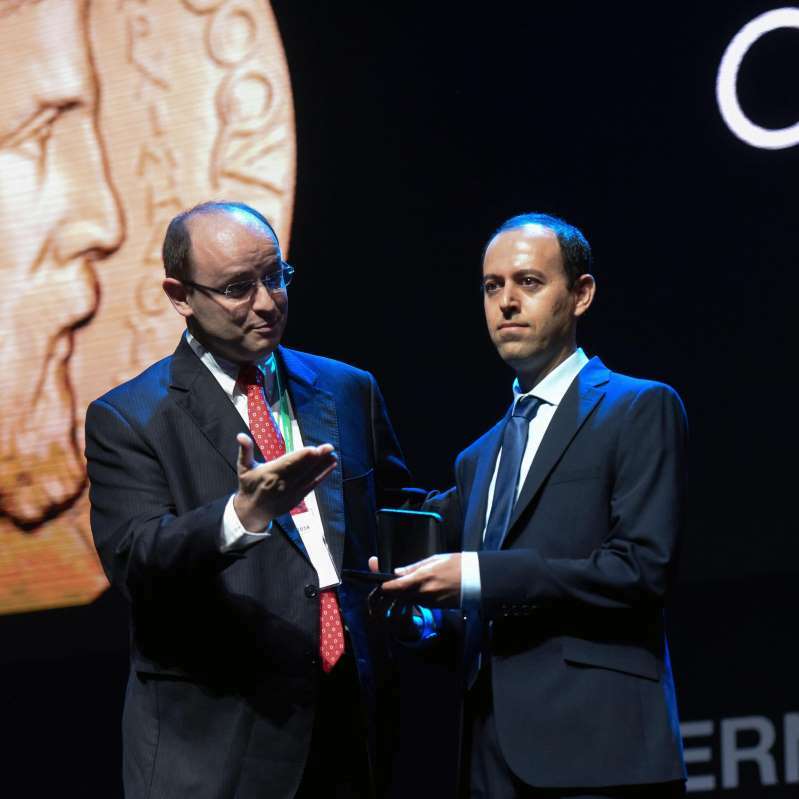 Kurdish mathematician Cauchar Birkar, right, 40, receives the Fields Medal award, math's most prestigious prize, during the International Congress of Mathematicians in Rio de Janeiro, Brazil, on Aug. 1, 2018. The organizer behind the event, the International Congress of Mathematicians, said it "profoundly regrets" the incident. The group said in a statement that images from the event were being analyzed and that officials were cooperating with local police. [post_ads]Birkar celebrated his achievement as a fairy tale come true for the often-beleaguered Kurds. He said he hoped "this news will put a smile on the faces of those 40 million people." Birkar was born in a village in the ethnic-Kurdish province of Marivan, near the Iran-Iraq border. "Kurdistan was an unlikely place for a kid to develop an interest in mathematics," he said. "To go from the point that I didn't imagine meeting these people to the point where someday I hold a medal myself — I just couldn't imagine that this would come true," Birkar told Quanta Magazine. The Fields Medal recognizes the outstanding mathematical achievements of candidates who were under 40 years old at the start of the year. Who are the other Fields Medal winners of 2018? "Until high school, his only concern was playing football," the International Congress of Mathematicians said in its announcement of the prizes. That changed after Figalli entered the International Mathematical Olympiad.